Sunny. High 81F. 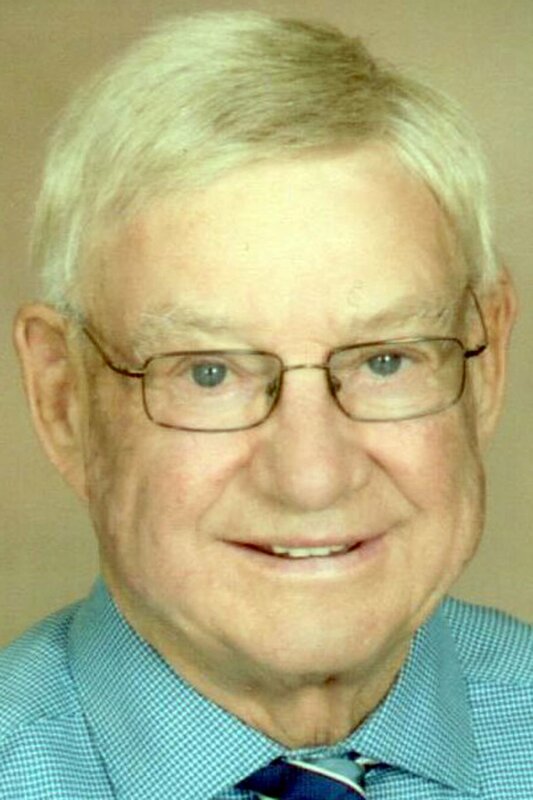 Winds SSW at 10 to 20 mph..
Rudolph Jakub, Jr., 76, of David City, passed away on March 17, 2019, due to pulmonary fibrosis, surrounded by family in the comfort of his home. Rudolph was born on Aug. 10, 1942, on a farm east of Brainard, the second child of Rudolph and Blanche (Sisel) Jakub. Rudy attended elementary school at District #61 and Holy Trinity Catholic School in Brainard. He graduated from Brainard High School in 1960. Rudy attended Commercial Extension College in Omaha before he was called to active duty in the Army Reserve during the Berlin Crisis. Upon his return, Rudy began farming in the Bruno-Brainard area. On Feb. 6, 1965, he married Harriet Osmera at St. Vitus Catholic Church in Touhy, and four children were born to this union. The Jakubs lived and farmed closely together south of Bruno until 1999, when they moved to David City. Farming always played an important role in Rudy's life. His 17 grandchildren and eight great-grandchildren were always a great source of joy. Humor played an important part of his life, and he always liked a good joke. Rudy was a member of St. Mary's Catholic Church in David City, where he was an acolyte and served on the Church Board. In addition, he served on the East Butler School Board, FFA Alumni Association, and the Booster Club. Rudy was a Charter Member and Grand Knight of the Knights of Columbus, Brainard Council, served on the Aquinas Council of Administration, and was a member of the Brainard American Legion. He was a Crows Seed Corn dealer from 1991-2001. Rudy is survived by his wife of 54 years, Harriet Osmera; sons and daughter, Brian (Roni) Jakub, of David City, Leah (Bruce) Policky, of Milford, Lyle (Pam) Jakub, of Bruno, and Craig (Kari) Jakub, of Milford; grandchildren: Aaron (Allison) Policky, Nathan (Michele) Jakub, Brandon (Katelin) Policky, Lauren Jakub, Trenton (McKenzie) Jakub, Matthew Jakub, Spencer (Katerina) Jakub, Michael Jakub, Jaidon Policky, Nolan Jakub, Jackson Jakub, Grant Jakub, Kael Jakub, Jayla Policky, Bryce Jakub, Kylie Jakub, Kenzie Jakub; eight great-grandchildren and two on the way; sisters and brothers: Darlene (Norman) Luetkenhaus, Ron (Jean) Jakub, Roseletta (David) Barry, Albin (Jeanne) Jakub, Shirley (Wayne) Masek, and brother-in-law, Lorus Luetkenhaus; brothers-in-law and sisters-in-law: Marie (Eugene) Maly, Anthony (Mary Ann) Osmera, Betty Ann Tvrdy, Ernie (Joanie) Osmera and Elizabeth Osmera. the life of: Rudolph Jakub Jr.